Ailsa Allen was born Ailsa Craig in Sydney. She studied under Thea Proctor and Adelaide Perry at Julian Ashton's Sydney Art School from 1927 to 1932, contributed to the student's magazine Undergrowth and exhibited with the Society of Artists in the late 1920s and 1930s. 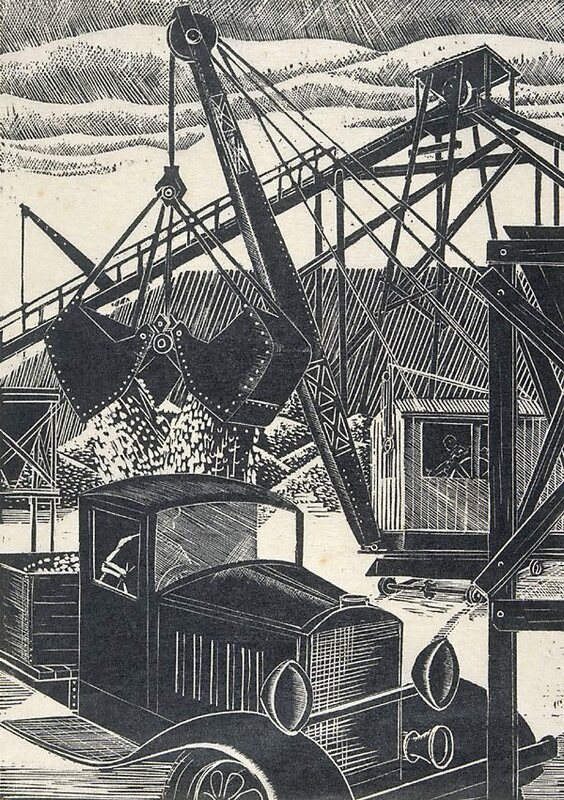 Some of her linocuts were reproduced in Art in Australia in 1927-28 while she was a student of design with Thea Proctor at Julian Ashton's Sydney Art School; she began making wood engravings around 1935. She married twice, changing her name on both occasions (first Ailsa Lee Brown, then Ailsa Allan), which she used to sign her work. She returned to Sydney in 1936 after living two years in Brisbane, where she began making wood engravings. Signed and dated l.r., pencil "Ailsa Allan '37".